This is the one to buy if you have to have one. 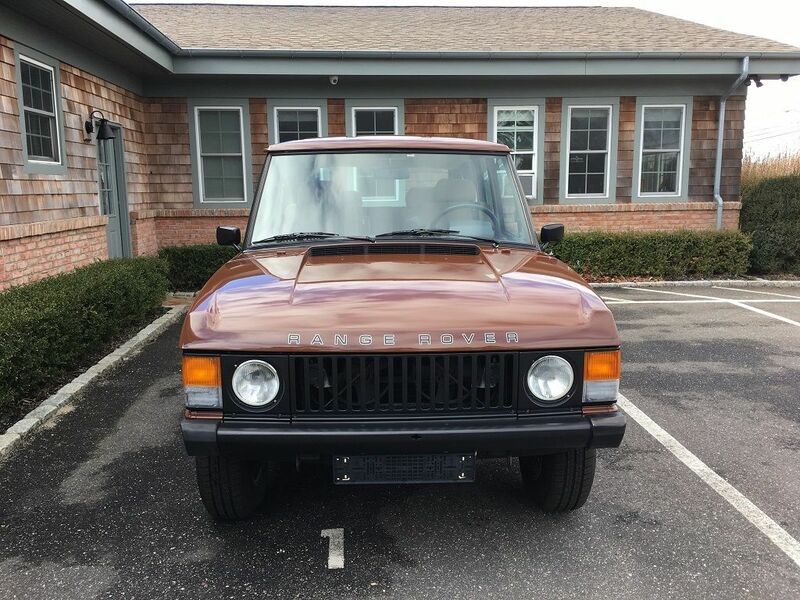 Love the color combination, 4 speed manual and 20,195 miles. Find it for sale on eBay with reserve not met and bidding starting at $25,000 in Southampton, New York. 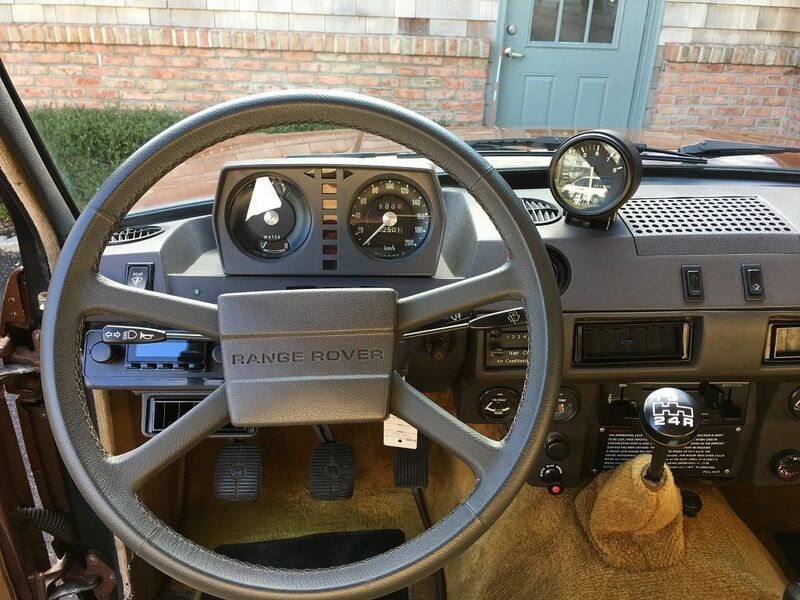 “As close to an original 1983 Range Rover you will find anywhere in the World. This beauty looks like she has never been off road and is in incredible condition. She looks new and drives like new! 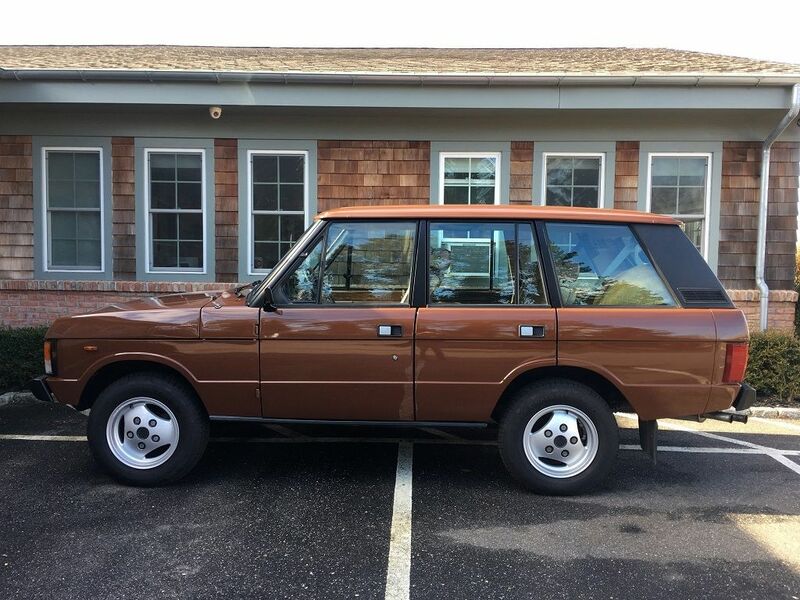 This fantastic Russet Brown Range Rover really is in fantastic condition with no rust on the body or the undercarriage, no dents, no scratches so if you are in the market for a brand new Range Rover from 1983 look no further. In time warp condition we do not believe this car has ever seen a puddle or been off road, 20,195 original miles. 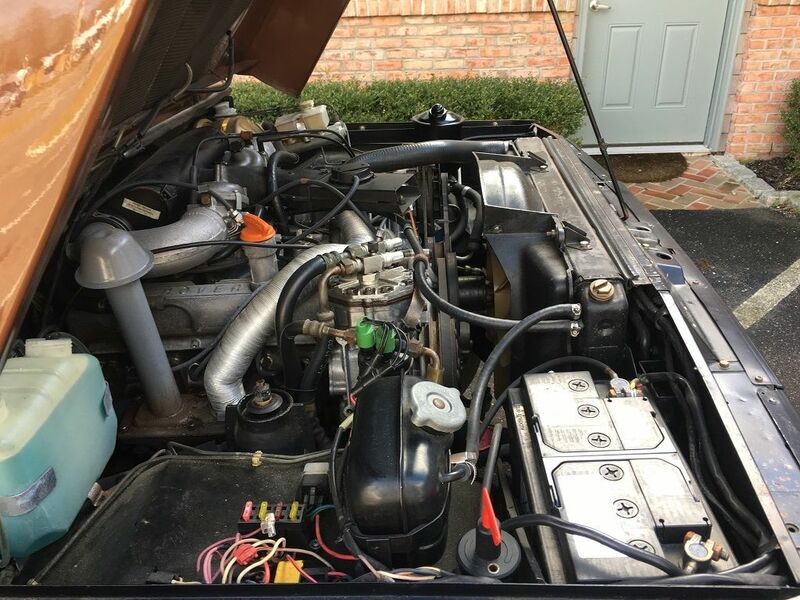 The Bronze nylon velour interior is in beautiful original condition, the seats show no sign of wear and tear, carpets, dashboard are all in great condition, A/C blows nice and cold, everything works as it should. V8 Petrol Carburetor Zenith-Stromberg 175CD type, 3.5 ltr V8 with a Manual Transmission with integrated transfer case LT95 4 speed and transfer box, high and low ratio, with central lockable differential. Original factory alloy wheels wrapped in new 215/75R16 4×4 Contact XL Continental all season tires as a result of this modern rubber being fitted, this Range Rover drives down the road as smooth as a Bentley with no road noise what’s so ever.